For the last decade, my career has been centered around recruiting and managing millennials. Plus, I am one. When we talk about recruiting and retaining millennials, I know what a lot of people are thinking: I don’t want to. Said every generation about the next. Don’t believe me? This quote is from Socrates. Love them or hate them, millennials should be embraced into your organization. That is, unless you’re ok not employing anyone between the ages of 23-37. This makes millennials the largest generation represented in the workforce today. We’re extremely underrepresented among skilled trade workers in the U.S.. There are a higher number of skilled workers over the age of 45 and a higher number of them between 55-64 getting ready to retire. So during the skilled labor shortage, the largest generation available to you is being underutilized. That’s the bad news. You need millennials in the business and in your industry, and right now, they’re not there. The good news is that once you start attracting millennials, they can help you attract more. If you create an environment to retain them and help them to thrive, they’ll not only be the future leaders of your company, but they’ll help drive you forward. It doesn’t sound too different from what previous generations valued. What is different is how we define each of these. 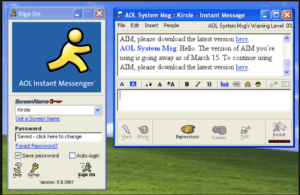 Remember, I’m an older millennial, and in 1998, I was 14 and a freshman in high school. This was the same year that Amazon started selling more than books and Netflix made it possible for me to rent movies without leaving the house. Suddenly, information was in the palm of our hand and we were connected with people across the country and around the world. We had an inside look into people’s lives. This was also the time of the great recession with home foreclosures, the stock market crash, and bank bailouts. And in 2008 we went from 630,000 Americans who were unemployed to 11,400,000. 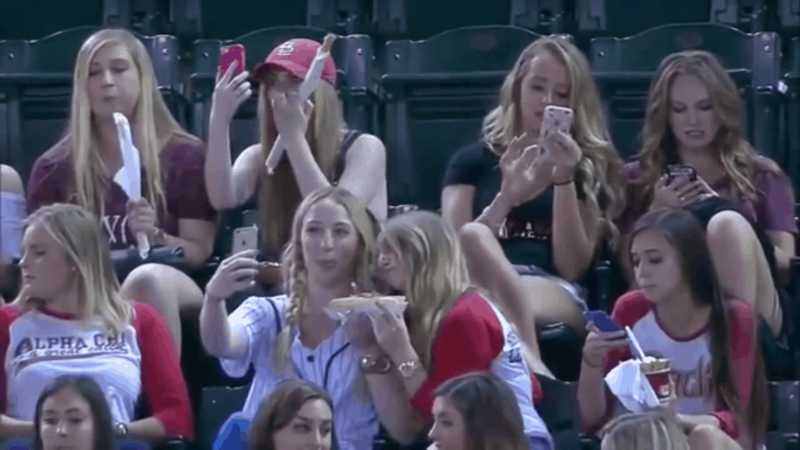 Millennials grew up in a world of constant innovation throughout our adolescence. We became used to instant gratification, information at our fingertips, and glorified easy-money lifestyles. While many of us were impacted by the recession in our adult lives, we’ve really only seen a growing economy and we’re trying to optimize our own growth through it. So let’s look at those five priorities again. Money. As always, money is important. But what I hear is that millennials don’t want to pay their dues. They want it now. They don’t want to work for it. Well, you could blame Mark Zuckerberg. 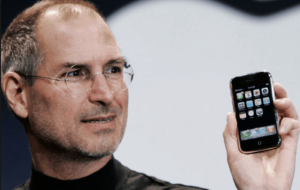 He became a millionaire at age 22 and a billionaire at age 23. So in one year, he want from a millionaire to a billionaire. It took Warren Buffett 26 years to do the same. Social media has opened the door for us to see those glorified lifestyles. We get to see the best part of people’s lives. Lifestyles and experience let us show off the best part of our own. We want to be able to afford it. The skilled trade industries are increasing wages at a slower rate than others. Be competitive. Know what industries you’re competing against for employees. Job Security. While most millennials don’t remember details around the last recession, we weren’t blind to the millions of people who were suddenly employed. For older millennials, we entered the job market and were suddenly competing with people with 10, 20, 30 years’ experience for entry-level jobs. Meanwhile, Zuckerberg went from a millionaire to a billionaire. So job security meant having the experience, the skills, the ability to self-improve, grow, and have the opportunity for growth. It’s not just the second-highest priority that millennials look for while job searching, it’s also the second-highest reason why people leave their existing jobs. Most millennials would prefer staying with the same company for the long haul but only if the growth opportunity exists. Ask yourself, when you have millennials who were in the business for a short period of time, how valued did they feel? Did they make an impact? Did they have an opportunity to grow, and did they know that? Benefits. Traditional benefits like healthcare and retirement still apply – but those have become basic requirements. Lifestyle and experience have really expanded the concept of benefits. This picture of me was part of a recruiting campaign for a company I worked for. 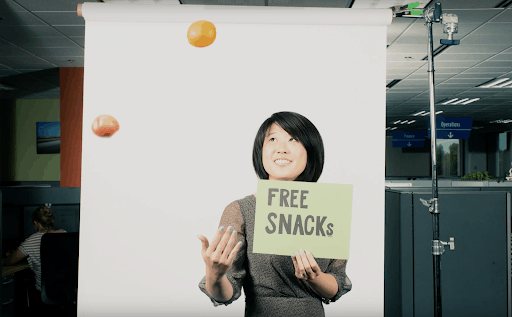 There isn’t a software company that doesn’t advertise benefits like free snacks and things that some people call silly or distractions like Nerf guns, video games, or beanbags. They all play into the concept of lifestyle and experience that aren’t restricted to after 5pm. Ask yourself, what kind of lifestyle are your benefits supporting? Fun and fitness? Fun and creativity? Furry friends? Time off. Growing up in a world when you’re constantly connected means that work doesn’t happen between 9-5. You aren’t restricted to an office or a desk. Because we’re constantly connected, the flexibility to step away is more important. We want the ability to take care of our personal lives, even if that’s during the week. Things like taking extended vacation is highly valued. I know these things are easier to do with office staff than with technicians, but I’ve talked to several companies who have worked with technicians on creating some level of flexibility. Get creative. It takes some work, but that work pays back dividends. When millennials talk about time off, it’s not about unplugging. We’re addicted to our phones. We don’t unplug that much. It’s more than anything about flexibility. Great people. Back during that recruiting campaign I mentioned earlier, I did a radio ad with a tagline “I have fun at work.” I wasn’t lying. I had a lot of fun at work. When I left six years later, the people were the hardest thing to leave. Looking back, the people kept me there for an extra year. There are studies that show that having a work best friend increases productivity, job satisfaction, and retention. 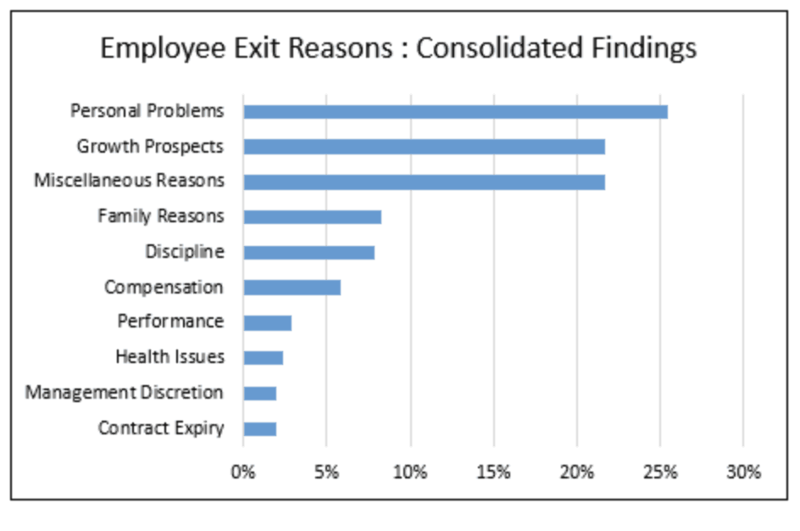 Those miscellaneous reasons in the chart above why people leave are often because of a toxic workplace and bad managers. So great people make a big difference. Know what is important to all your prospective employees. Give your managers the resources and support to create an environment that makes everyone thrive. Millennials may value things a bit differently, but you’ll find that at the end of the day, they share common personal and professional goals with your more experienced employees. We love our millennials! Can’t wait to get some gen z’rs too! Right!? You get a millennial pointed in the right direction and they will absolutely crush it. Just don’t let them get bored. Subscribe to get the latest ServiceTrade Blog posts delivered to your email! 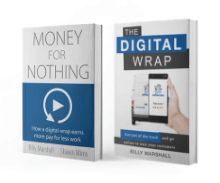 Many of our blog posts are ideas included in The Digital Wrap: Get Out of The Truck and Go Online to Own Your Customers or Money for Nothing: How a Digital Wrap Earns More Pay for Less Work by Billy Marshall. Read an excerpt or get your copies at digitalwrapbook.com. Best of 2018 How much information is too much?